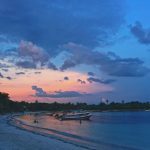 Akumal is unlike any other place on earth! The Mayans named it “place of the turtles.” Locals call it their ancestor’s secret. Scuba divers call it unbelievable and travelers call it a Caribbean paradise. In fact, Trip Advisor users voted it one of the top 25 beaches in the world! 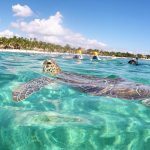 Once you visit, you will likely tell your friends that you went snorkeling with turtles in Akumal Bay. You will probably tell them you went kayaking, fishing or scuba diving in the Caribbean. You might tell them you played a top rated golf course or dined at one of many excellent restaurants in the area. 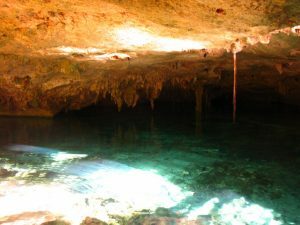 Some of you will talk about the archeological treasures you visited or how you ziplined through the jungle and then snorkeled in an underground spring called a cenote. Long considered the jewel of the Rivera Maya, Akumal is located in the heart of the Riviera Maya on Mexico’s Caribbean Sea just across from Cozumel. 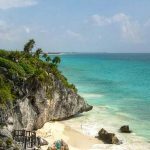 This small beach village has the feel of “Old Mexico” and is conveniently located one hour south of the world class Cancun airport….yet comfortably removed. It is about 20 minutes south of Playa Del Carmen and 20 minutes north of Tulum. You can begin your Akumal dream vacation today by reserving one of our beachfront villas or condos located. Our beachfront villas are located on the exclusive South Akumal Beach and we have condos inside the ultra modern Bahia Principe Golf & Residences. We’re not typical rental agents, we’re actual owners who enjoy sharing our private vacation homes with others. 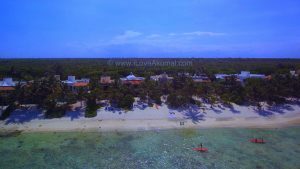 You’re going to love Akumal!